The book will ship in late April, and be available for purchase at several conventions and festivals this summer. Here's a printed spread from my story, THESEUS. And someone else's hand. I think it's Joy's. 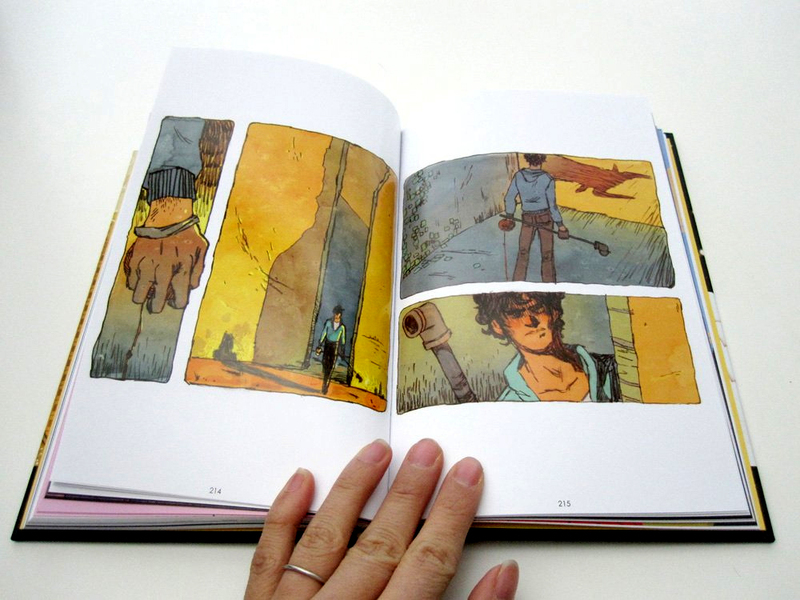 The book is FULL of talented creators telling their own stories on their own terms. 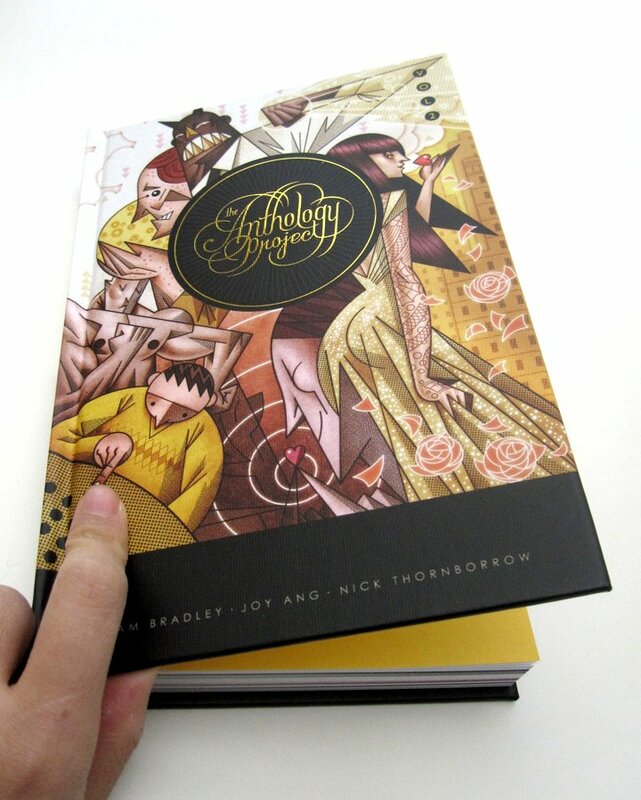 It is a choice cut of meaty comics goodness, an unparalleled party tray of assorted sequential snacks. I am proud to have my own little confection displayed on such a platter. Where do I stand in line? Toronto? Dude, is that your hand? Your nails are getting a titch long. Don't you think? With that kind of introduction, how could I NOT enjoy? Should I bring whipped cream? Looks LOVELY huge. way to fill that page. I'll look for the book.